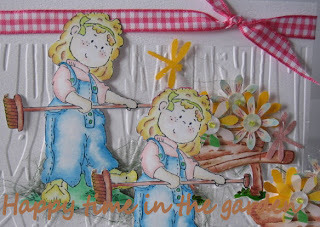 I am posting a card for Pretty in Pink challenge over at Magnolia- licious blog. Today I just wanted to make a card coloured all in red. And here's how my card turn out . I use Copic to coloured. The ribbon and the paper is from my local craft shop. The hearts are cut out with digital craft cutter Silhoutte. 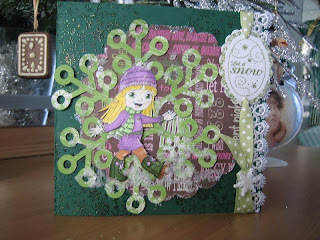 Today I had made a card for Stamp Something Challenge. Guess what I have found in my stamp collaction ..... some funny image from Penny Black. My first Just Magnolia Callenge! Here is my first Just Magnolia challenge card. The sketch was made by Jay Jay . Thanks for the lovely sketch Jay Jay, I really had fun doing it. I wish you wonderful and relaxing day like on my card lol. 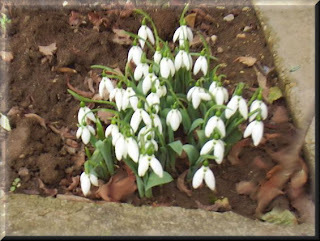 Thank you for stoping by my blog and leave a comments. Dear friend of my just made this foto for me ( to make me happy). Have a nice sunday everyone!!!! Today was very cold and snowy outsite. Have a warm evening everyone! I have made few cards for my friends and family. And this one is for my niece ( her birthday is tomorrow ) . She love cookies !!! I wish you all happy day!! !